For gamers who demand the very best, AMD Radeon™ R9 290X graphics shatters ordinary GPU performance. Groundbreaking GCN Architecture pushes your performance to insane levels while AMD TrueAudio technology and ultra-resolution gaming take you even deeper into the action. Never settle for anything less than AMD Radeon™ R Series graphics. Gamers Come First. We’ve been on the front lines of gaming innovation for years, backing developers’ creative genius with the technology and firepower to put you in the heart of the action. There’s optimization, and then there’s Mantle technology. Games enabled with Mantle speak the language of Graphics Core Next to unlock revolutionary performance and image quality. Also AMD TrueAudio Technology puts the magic of surround sound into every headset and helps give sound engineers the freedom to innovate in ways they’ve never had before. This is what the future of PC gaming sounds like. 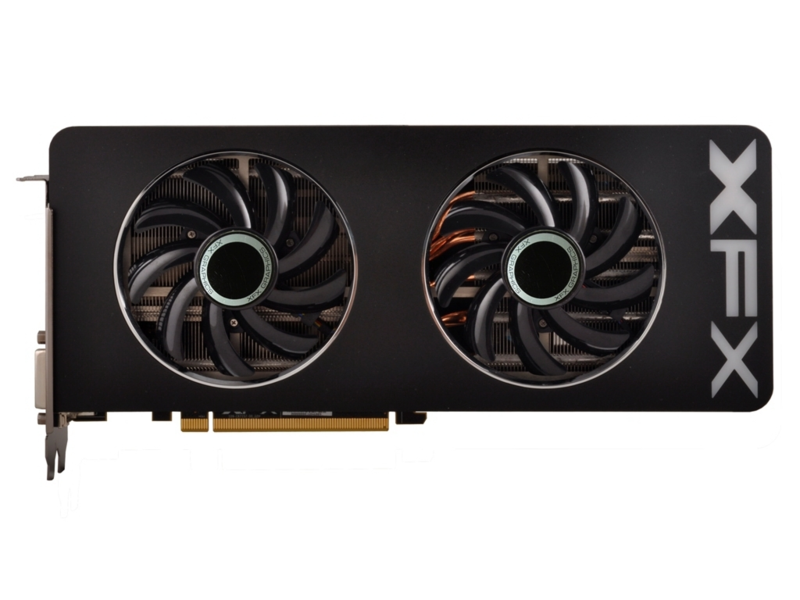 XFX's exclusive Black Edition graphics card are the most rigorously tested graphics card. They are pre-overclocked to the maximum core clock achievable and come from the highest quality yield GPUs which make up the top 1% of those produced in the world. 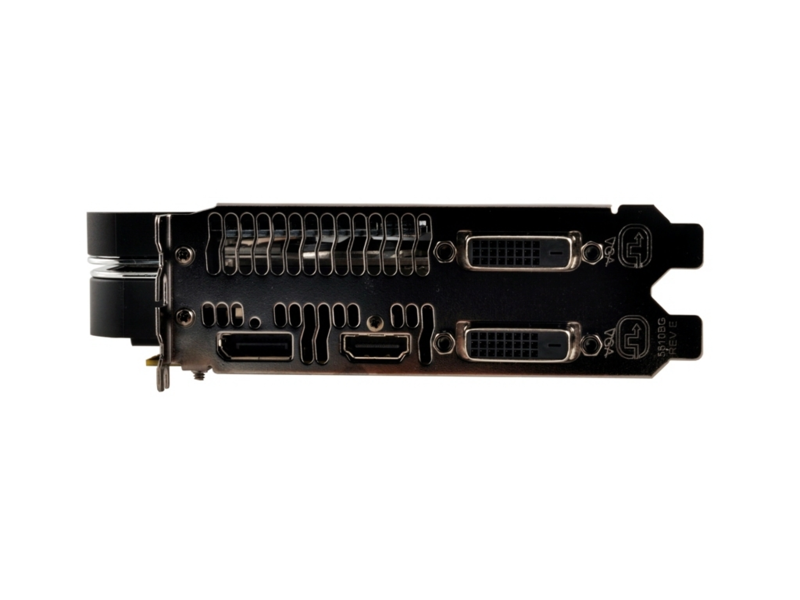 In addition, we pair it with the highest quality components to ensure there are no bottle necks so you can be certain you are getting the best graphics card possible on the market today. 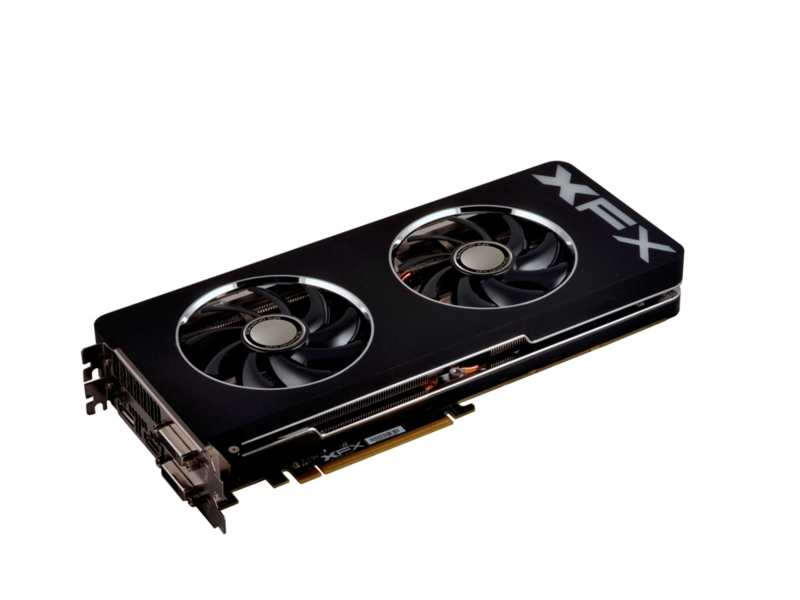 The new and improved floating heatsink design of XFX graphics cards provides the ultimate cooling solution. 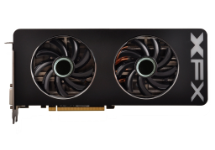 XFX's exclusive ghost thermal 2.0 design creates a floating heatsink with open airflow between the PCB and the cover so that air can quickly ventilate off the card while simultaneously cooling the core process and the components. 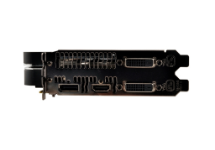 We've also made major advances from our first generation which includes a heat tested light weight plastic to create an overall lighter thermal which reduces the physical strain on your gpu. 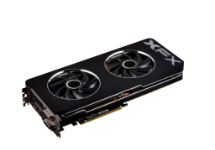 The exclusive XFX Double Dissipation design is cooler and quieter than others. XFX's exclusive dual fan double dissipation design utilizes two larger fans which run at slower RPM than comparable single fan soltuions which must run at much higer RPMs just to barely achieve the same cooling needs. Because of this design, XFX is able to achieve up to 13db lower noise than the competitor while simultaneously increasing the overall cooling by 7°C. Video Memory imporves you gaming experience by storing more 3D vector data, textures, overlays, GPU programs which allows for faster load times, sharper graphics and higher resolutions. AMD PowerTune technology is a significant leap forward to better ensure that performance is optimized for TDP-constrained GPUs. 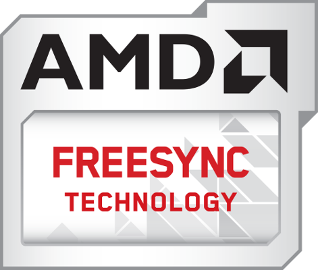 AMD PowerTune technology helps deliver higher performance that is optimized to the thermal limits of the GPU by dynamically adjusting the clock during runtime based on an internally calculated GPU power assessment. AMD PowerTune technology can dynamically adjust the performance profile in real time to fit within the TDP envelope. We are taking you beyond the boundaries of traditional PC displays. XFX Multi Display technology expands the traditional limits of desktop computing by multiplying your screen area. With multiple monitors, games become more immersive, workstations become more useful and you become more productive (an average of 42% more productive according to one study). Radeon™ is faster. Radeon is immersive. Radeon is gaming. 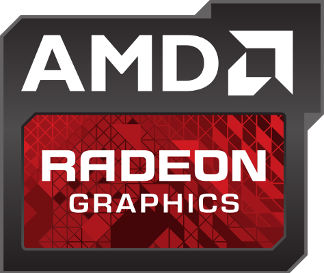 For gamers who demand the very best, AMD Radeon™ R9 290X and R9 290 graphics shatter ordinary GPU performance. Groundbreaking GCN Architecture pushes your performance to insane levels while AMD TrueAudio technology and ultra-resolution gaming take you even deeper into the action. With AMD TrueAudio technology, you get the most revolutionary, realistic and breathtaking sound we’ve ever put in a GPU Mantle gives game developers the power to speak directly to the GPU core. With such a direct connection to your hardware, game developers are discovering a whole new world of immersion and performance made possible by AMD graphics leadership. Partially Resident Texture (PRT) support. Ultra-high quality texture streaming technology. Up to 24x multi-sample anti-aliasing. DirectX 9/10/11 Super Sample Anti-Aliasing (SSAA). Automatic LOD adjustment (Requires AMD Catalyst 12.4 or higher). 16x angle invariant anisotropic texture filtering. Independent resolutions, refresh rates, color controls, and video overlays. Master Carton Weight (Kg) : 15.37 est. Master Carton Weight (lb) : 33.88 est. Package Weight (Kg) : 1.44 est. Package Weight (lb) : 3.17 est. 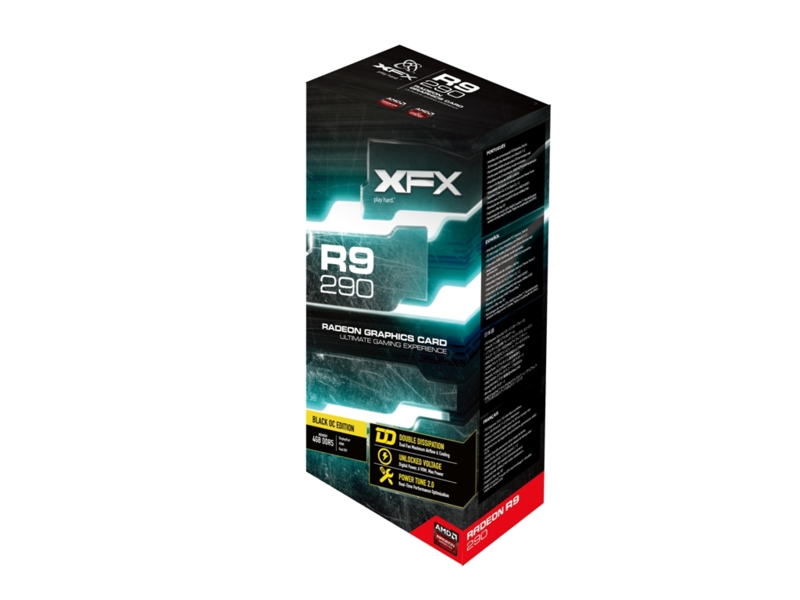 The XFX version of the R9 290X is an impressive example of this product. The cooler knocks a significant number of degrees off the reference design while minimising noise levels. Mantle is of course big news in the GPU world and while it is currently limited to one title, it does offer significant potential to change the performance landscape. In Battlefield 4 for example AMD are quoting gains of around 40% on some systems, specifically those with low end and mainstream CPUs. So while our results did see some gains, and every extra FPS is appreciated, it is a technology which currently benefits those not on enthusiast parts more than this product. Looking back to performance in standard tests we see that the XFX card breezes through the 1920x1080 testing, always offering playable performance on maximum detail... other than the quirky that is Total War: Rome 2. Overclocking performance was also improved over the reference design. That brings us to value where the XFX model retails for a little more than the reference design however the enhancements are more than worth the premium and of course we get a free copy of Battlefield 4 included." 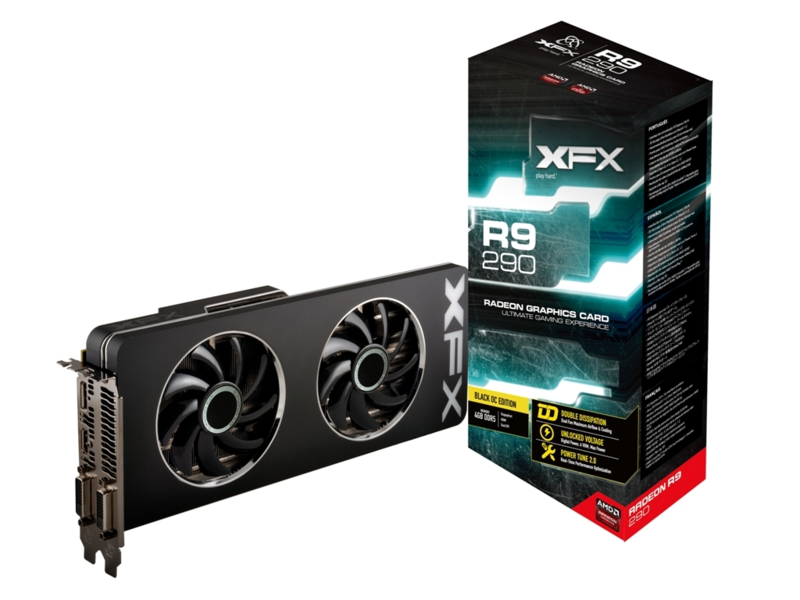 “In a few words and very succinctly, we can write that presented today in our magazine , the XFX Radeon R9 290x Black Edition is a successful design and attractive from the point of view of the gamer. The quality of workmanship, and the outputsand efficiency of the cooling system are certainly strong assets from the XFX company. It is also difficult to fault for performance in games - usually playing in very high details at a resolution of 2560x1600 is not a big challenge for the Radeon R9 290x as described today. In addition, it is a good graphics card that can not only enjoy good performance in games, but also a great look. The fact that you might find something interesting in the equipment, for example, the full version of the game that recently often appear together with top accelerators. Power consumption is also not an asset, but on defense we add that in this class is an argument often negligible among enthusiasts. It can also hurt a bit high price compared to other graphics cards that use copyright system R9 290x. According to us, the company XFX could slightly reduce the rate for its one of the most powerful accelerators."